Get a £25 Amazon.co.uk Gift Card with O2 Drive. Introducing O2 Drive – competitively priced car insurance from a brand you already know and trust. Because we believe car insurance should offer you more. Buy O2 Drive car insurance directly from us, and you can claim a £25 Amazon.co.uk Gift Card. Terms apply. With O2 Drive you’ll be able to manage your cover from your phone, through the O2 Drive app. You’ll get special perks throughout the year, plus offers through Priority – even if you don’t have an O2 mobile. You can use the app to check your driver score, get driving tips and even update your policy. Need a service, repair or MOT? With Car Assistant we’ll help you find the right service for your car. Give you a choice of confirmed prices from garages in your area. And book it for you. 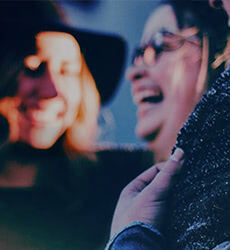 If you’ve already got an O2 mobile, your quote might even be lower because we know you. And by using the mobile signal from your phone, we can build up a pattern of your journeys and give you a price personal to you and your driving habits. We’ve got two different products for you to choose from. But whichever you go for, our comprehensive cover includes things like a courtesy car, up to £500 for personal possessions, our uninsured driver promise and more. Young or inexperienced driver? O2 Drive Box on Board could help you feel more confident, with hints and tips to improve your driving. We’ll fit your car with a device that sends your driving data to us, so you could get a discount too. 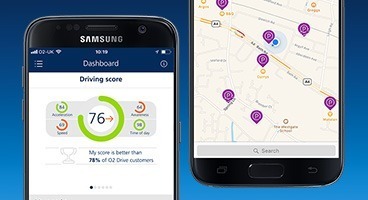 Manage your car insurance from your phone, with the O2 Drive app. Car Assistant will help to keep you on the road and minimise disruption. And you can enjoy special offers and perks. O2 Drive Box on Board won Best Private Sector Initiative at FirstCar's Young Driver Road Safety Awards 2018. Check your driver score, get expert hints and tips, and manage your account. Get extra treats, just for being an O2 Drive customer. Need a service, repair or MOT? We’ll confirm prices in your area and book it for you. Sign in to find your saved quote. Sign in to see your policy and stay on top of your details. If you're already with O2 on a consumer tariff, we might be able to get you a better price on your car insurance because we know you. You'll be asked to enter your mobile number when you get a quote, so we'll know if you're already with O2. Your quote is determined by factors like your postcode, car type, driving experience and no claims discount. But if you are already with O2 on a consumer tariff, things like how long you have been with O2, your payment history and your device will also be taken into account. As well as this, by using the mobile signal from your O2 phone, we can see how, where and when you usually drive to build up a pattern of your journeys. And give you a price personal to you and your driving habits meaning we may be able to offer you savings too. Once you've downloaded the app, sign in using your My O2 details. The app will then run in the background. If you switch your phone off you may need to open the app again to record your journeys. For O2 Drive – Box on Board, all journeys will be recorded automatically by your telematics box. Your score is made up of individual scores for acceleration, awareness, speed and night time driving. The higher your overall score, the safer you're driving. 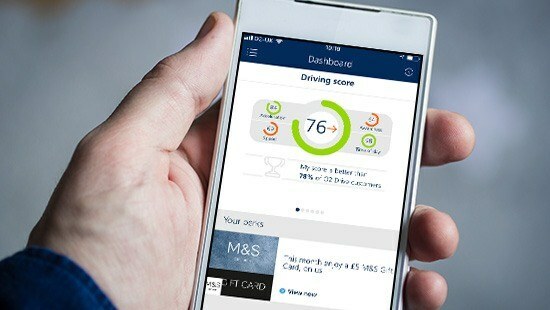 Your personal driving score for each journey will appear in the O2 Drive app with a breakdown of your score and tips on how to improve. In the event of a no deal Brexit, EU regulations mean that you’ll need a Green Card as proof of your insurance if you want to drive your car in the EU. If you’re an O2 Drive customer and will be driving in the EU on or after 29 March 2019, call us on 0330 018 0802 and we can issue you a Green Card. You might also need an International Driving Permit (IDP) – see the Government’s advice. IDPs are available over the counter from the Post Office. Please email your proof of no claims discount to NCD@drive.o2.co.uk. Or post to O2 Drive, Unit 25, Tresham Road, Orton Southgate, Peterborough, PE2 6BU. Make sure you include your policy number too. 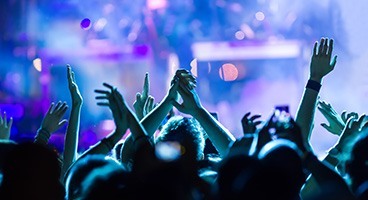 If you're not sure what to do, read our help article. Car Assistant is designed to help you maintain and look after your car. 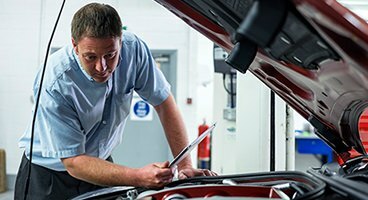 If it needs a service, MOT or a problem looked at, call Car Assistant. With access to over 8500 garages nationwide, we’ll present a range of options in your local area to help you find the best deal for you. Then book you in at a time that suits you. All prices are fixed, and you’ll have access to garage ratings and customer reviews for extra peace of mind. Ring us on 0330 018 3302. * Calls to 03 numbers will cost the same as other standard fixed line numbers (starting 01 or 02), and may be included in your call package depending on your service provider. On O2 tariffs they are included as part of any inclusive or free minutes allowances. Calls may be monitored for training or compliance. Call costs from abroad are the same as calls to a standard fixed line number from overseas. Calls to Car Assistant are free. Don't worry, we'll get it sorted. Just call 0330 018 8802. 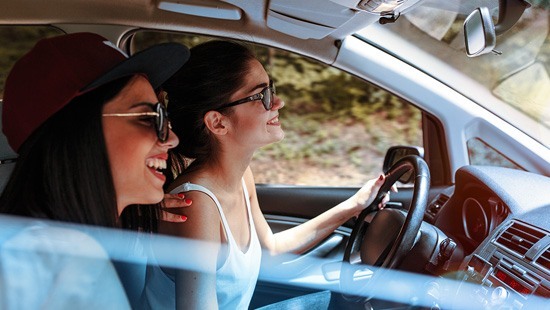 Take a look at the details of our O2 Drive insurance policies. And 3 levels of cover: Comprehensive; Third Party Fire & Theft, and Third Party Only. Find out what's covered by our different levels of insurance. See what else is covered. We offer three levels of insurance. Comprehensive, commonly known as fully comp, gives you the most cover. Third Party, Fire and Theft is our mid-level cover. And Third Party Only is the most basic. Take a look below to see what's covered in each one. Covers you for 60 days in total for the insurance year if you travel within the European Union (at the same level of cover you have in the UK). Damage or injury to other people and their property. Protected no claims discount can be chosen at additional cost. Legal costs - Covers solicitor's fees for any coroner's inquest, fatal accident inquiry or magistrates court, as well as other legal costs authorised by the insurer. Conditions apply. New car replacement - If loss or damage occurs within 12 months from the date it was first registered, and the cost of repair is more than 60% of the cost of buying an identical new car. Repairs guaranteed for three years when using an approved repairer for insurance claims. Vandalism protection - No claims discount won't be lost if your car is vandalised. Replacement child car seats – If your car's involved in an accident or damaged following a fire or theft, this provides cover towards the cost of a replacement seat even if there's no apparent damage. The insurer will pay up to £150. Courtesy car when using an approved repairer subject to availability. Theft of keys cover – Up to £500 towards the cost of replacing door/boot locks, ignition lock and keys. Conditions apply. Uninsured driver promise - If you're hit by an uninsured driver, your insurer will refund the cost of any excess you have to pay. If the accident isn't your fault you won't lose your no claims discount. New car replacement - If loss or damage occurs due to fire or theft within 12 months from the date it was first registered, and the cost of repair is more than 60% of the cost of buying an identical new car. 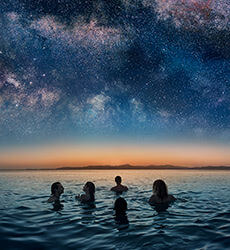 O2 Drive Gift With Purchase: Limited to customers that purchase a new O2 Drive policy via the O2 website or through O2 telesales from 11 March 2019. New customers only. Policies bought via price comparison websites or cashback websites are not eligible. Full T&Cs apply.